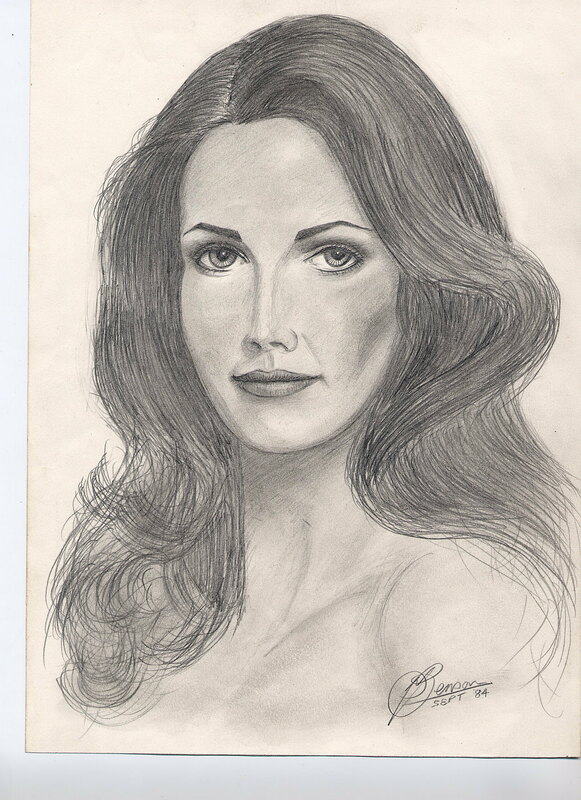 My illustration for this piece is a copy of a drawing I did in oil pastels in 1992. The original was completed in A3 size as a gift for a big fan of this lady. 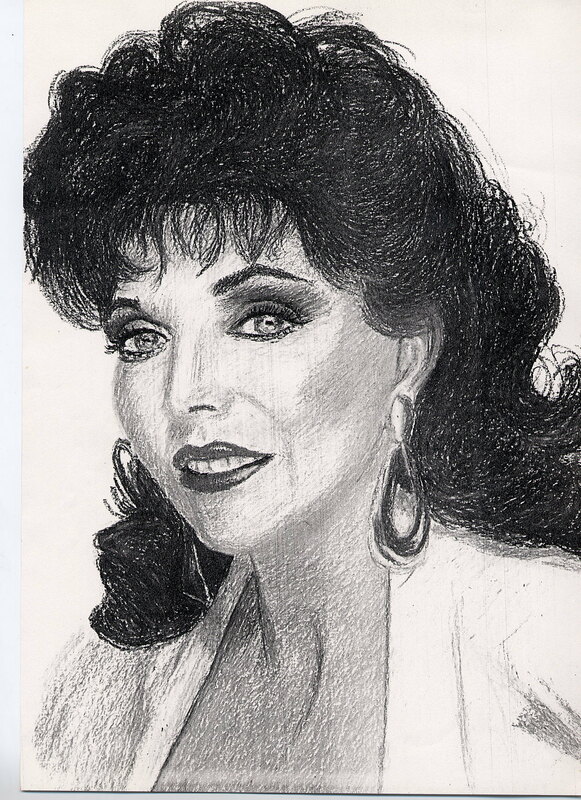 The lady in question is British actress Joan Collins. The copy is a black and white version of the original. In those days a digital camera and pc would not have been to hand, but I did at least manage a photocopy. Contrary to my original intentions I have posted ‘Guardian Angels’ into a competition on an international web-based writing site. Simply because there are no restrictions I have it linked here in my short stories. ‘Windows of Opportunity’ has gone to a top British writing magazine so I’ll have to await the official clearance before I can post it anywhere else. In the last three days I’ve penned a poem a day. ‘Noises in the Wind’ which is about a crew of mutineers. ‘The Enemy Within’ is my take on the world of insurgents. ‘Nymphet‘ is my latest which touches on the sensitive subject of a man falling for a beautiful but under-age girl. I have as always got a short story underway. ‘One Man’s Mission’ takes a walk into the world of terrorism. Obviously a careful, calculated walk. Chapter 2 of my novel is taking longer than I expected to make progress. This is mainly due to working with a fictional lead character who will be experiencing some episodes from my own life. Fortunately for both me and any reader there will be some fictional scenarios mixed in too. If I get the job done right then nobody should be able to spot the real from the imagined. In an effort to give me a boost back into the tale I’m considering two or three excerpts, just as I did with Chapter 1. I feel sure the idea will work because I’ve already discovered that writing a story idea as a poem actually helps me to focus on keeping the story tight. Time will tell.